Ph.D. in Engineering is a 3-year full-time doctorate level course in Engineering. Minimum eligibility for the course is M.E/M.Tech degree or an equivalent Master’s degree with 55% of marks or 6 GPA point scale from a recognized university. Many colleges offer Ph.D. in Engineering course in India. Every college has their own eligibility criteria, admission process, and fees structure. The average fee for this course ranges between INR 20,000 to INR 4 Lacs based on the candidate’s marks obtained in their master’s degree or entrance exams. 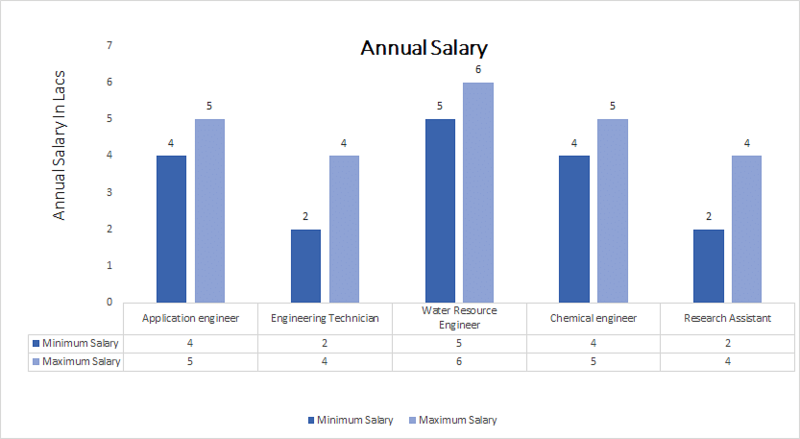 Engineering has a variety of subjects such as Energy, Fluid mechanics, and Turbomachinery, Electrical Engineering, Mechanics and Design, Computer Science and Engineering, Civil Engineering, Manufacturing and Management, Information Engineering, etc. After completing this doctorate course, students are expected to produce original work to contribute that they have the knowledge of engineering field. Admission to Ph.D. in Engineering course is based on merit list or entrance-exam. Most of the colleges select students based on the marks obtained in their master’s degree or an equivalent degree for Ph.D. in Engineering course admissions. Some reputed colleges conduct entrance exams for this course admission. Students who are selected for entrance exam should attend the personal interview conducted by the college. Based on their performances, they will be selected for admissions. After completion of this course, graduates may work in fields like IT Sectors, Manufacturing Units, Agriculture Sectors, Retail Sectors, Aerospace Companies, Telecommunications, etc. These professionals may work in positions like Engineering Technician, Application Engineer, Research Assistant, Water Resource Engineer, Chemical Engineer, etc. The average salary for these professionals ranges between INR 2 to 10 Lacs as per their experience and expertise in this field. Written below are some of the major highlights of the course. Ph.D. in Engineering: What is it about? Ph.D. in Engineering course has various specializations such as civil engineering, building engineering, electrical engineering, computer science engineering, information systems engineering, mechanical engineering, industrial engineering, aerospace engineering, and computer engineering. Candidates may select any one of the specialization based on their interest. The curriculum may vary from one specialization to another. In this course, students study major topics such as mathematical methods, developments in engineering, system and control, fluid mechanics, structural mechanics, dynamics and vibrations of mechanical and biochemical systems, energy conservation, academic conversation, academic communication skills, robotics, aeronautics and astronautics, industrial engineering, integrative studies for building engineering, structural engineering, construction management, and water resources. Candidates who have completed M.E/M.Tech or an equivalent master’s degree from a recognized university are eligible for Ph.D. in Engineering course. Candidates should obtain 55% of marks in their Master’s degree for this Ph.D. in Engineering course eligibility (50% of marks for SC.ST/OBC candidates). The percentage may vary from one college to another. Eligible candidates may apply for this course through online or offline. Admission to Ph.D. in Engineering course is based on Merit list or an Entrance-exam. Most of the colleges conduct counseling and select students based on the merit list prepared by the state-wise universities. Some of the reputed colleges conduct entrance exams to select students for this course admission. Entrance exams may vary from state to state. Few colleges conduct the personal interview followed by the entrance exam. Those colleges select students based on their performances in an entrance exam and the personal interview. A semester-wise syllabus for Ph.D. in Engineering is given below. The syllabus may vary from one college to other. Ph.D. in Engineering: Who should opt for this course? Candidates who have an interest in Engineering and its related areas are suitable for this course. Candidates who have good communication skills, interpersonal skills, ability to make decisions easily, work in teams, and express ideas are suitable for this course. Candidates who have the ability to invent things and create new inventions are suitable for this course. Graduates who have completed this course have lots of opportunities in various fields of engineering. Professionals may work in major areas such as IT consultancies, IT departments, IT service providers, Telecommunications, Aerospace companies, Defence, Financial services, Retail sectors, Healthcare sectors, Manufacturing sectors, Agriculture sectors, etc. Some professionals may work in top colleges and universities in major roles. Few professionals may start their own career as an entrepreneur. These professionals may work in government, private, and public sectors. Graduates may work in job roles offered by the top companies and organizations are Technician, Web developer, System designer, Helpdesk specialist, Networking specialist, Data-warehousing analyst, e-commerce specialist, Lab instructor, Software engineer, Development manager, Subject matter specialist, etc. Graduates who have an interest in teaching field may work as professors and lecturers.